SOLD OUT. Please contact Nicole Faghin to be placed on the waiting list – faghin@uw.edu. We will learn from these and other experts about how we have made changes over the past 30 years or so and how all of these issues are intertwined, through presentations and panel discussions. Your feedback is important! 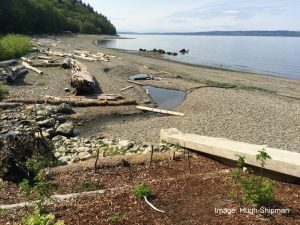 We will use breakout sessions to learn how you are incorporating new ideas into your work and what you need to work towards your goals to improve the shorelines of Puget Sound.